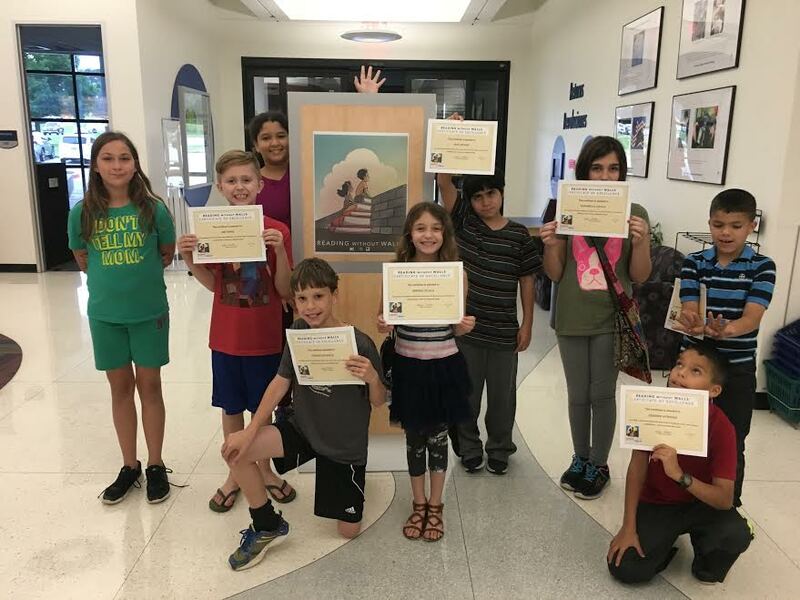 “Reading Without Walls Challenge” Winners at Tomball Library – Will You Take the Challenge? Designed by author/illustrator and the National Ambassador to Children’s Literature, Gene Luen Yang, The Reading Without Walls Challenge helps to build empathy, expand your perspective of the world and introduce you to new things. The initiative began last April and is being reinvigorated by many schools, public libraries and individuals this April. The 3rd-5th grade book club that I’ve worked with for the past year has been reading books from all over the spectrum of what is available for their age range. Because the kids in the group have various ethnic and cultural backgrounds, we needed to read a wide range so that everyone found a book about someone who doesn’t look like them. I provided the kids with a list of the titles we’ve read, and they got to choose which title that they wanted to fulfill each requirement of the challenge. The kids were proud of meeting the challenge and loved the simple certificates that I made for them. The best part of our experience is that each child connected with several of the titles that they might have never picked up if we hadn’t read them as a group.